While little remembered today, Lisa Howard was the first female correspondent for ABC News and the first U.S. woman to ever host a network news show. In 1963, she managed to score an exclusive interview with Castro at a Havana nightclub. Castro arranged for flowers to be delivered to Howard's hotel room the next morning. Howard returned the favor by leaving a note thanking the Communist dictator. "I have decided to give you the most valuable possession I have to offer. Namely: my faith in your honor. My faith in the form of a letter, which, if revealed, could destroy me in the United States," she wrote. Author and historian Peter Kornbluh revealed for the first time that her unpublished letter originally contained a personal note as well: "We met and came together and, I know, felt something for one another that could not go further. I am who I am and you are Fidel Castro and for us, at this moment in history, nothing personal could be realized. No matter … our personal desires are not important." But Howard removed that paragraph from her final draft, instead writing, "Perhaps we shall never see one another again. But I shall treasure with all my heart for as long as I live my trip to Cuba in April of 1963 and my meetings with you, my dearest Fidel." Castro agreed to a second interview in 1964, this time in her hotel room. At first Castro was accompanied by an aide, but in the early morning hours, Howard asked him to give them privacy. "Finally alone with her, Castro slipped his arms around the American journalist, and the two lay on the bed, where, as Howard recalled in her diary, Castro ‘kissed and caressed me … expertly with restrained passion,'" Kornbluh writes. "He talked on about wanting to have me," Howard wrote in her diary, but "would not undress or go all the way." But in another late-night interview, Castro did relent. "We did get to bed and he made love to me quite expertly and it was, of course, thrilling and ecstatic—as much as anything I have ever experienced," Howard wrote. Howard's relationship resulted in her becoming a useful back-channel between Washington and Havana at a time when the Johnson administration believed Cuba might be wooed away from the Soviet Union. U.S. officials worried they may have had a "physical relationship," but both Castro and Howard took their secret to the grave. Howard’s trip to Havana in the winter of 1964 was pivotal in advancing one of the most unusual and consequential partnerships in the history of U.S.-Cuban relations. She became Castro’s leading American confidant, as well as his covert interlocutor with the White House—the key link in a top-secret back channel she singlehandedly established between Washington and Havana to explore the possibility of rapprochement in the aftermath of the Cuban missile crisis. 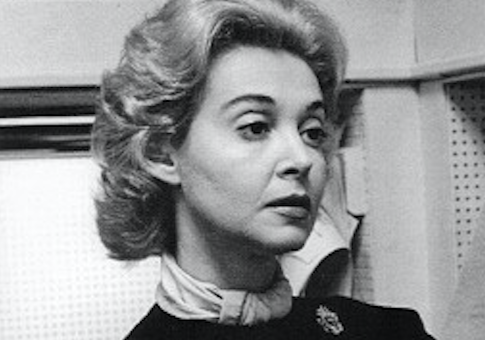 From mid-1963 to the end of 1964, Howard secretly relayed messages from Cuba’s revolutionary regime to the White House and back again; she also used her reporting skills and high-profile perch at ABC to publicly challenge the Cold War mind-set that Castro was an implacable foe of U.S. interests. Her role as peacemaker was built on a complex, little-understood personal rapport she managed to forge with Castro himself—a relationship that was political and personal, intellectual and intimate. Howard was eventually fired by ABC News for openly campaigning with liberal Democrats who wanted to defeat New York senatorial candidate Robert Kennedy. Compounded with grief over a miscarriage, she committed suicide a year later. This entry was posted in Politics and tagged Cuba, Politico. Bookmark the permalink.